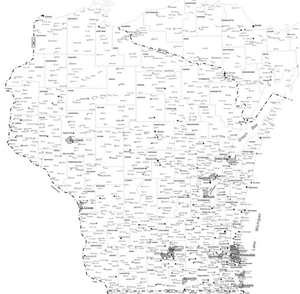 Road map showing the I-94 corridor from Milwaukee through Chicago in to northwest Indiana. 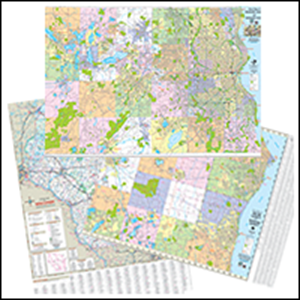 Map folds open to size 28" x 40" Covers as far west as Oconomowoc, Elkhorn & Lake Geneva in Wisconsin. Elgin, Aurora & Joliet in Illinois. 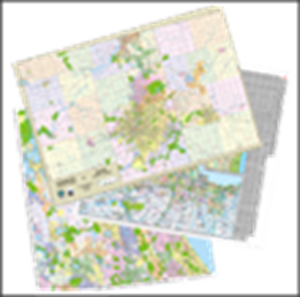 Recreation Map. 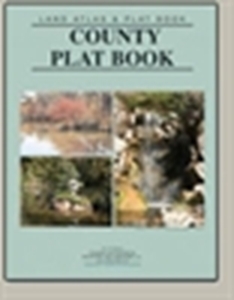 Includes Greenbush recreation area, Mauthe Lake recreation area, New Fane trails, Zillmer skiing and hiking trails, Parnell Tower trail, Long Lake recreation area, John Muir Nordic trails, Scuppernong/Ottawa Lake, Eagle/McMiller/Old World Wisconsin and Lapham Peak unit. 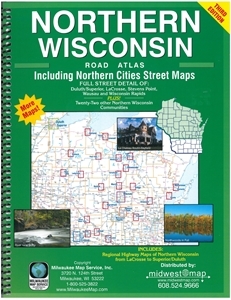 Street level detail including the communities of: West Bend, Jackson, Germantown, Richfield, Hartford, Slinger, Newberg, Kewaskum, Allenton, Fredonia, Belgium, Port Washington, Saukville, Grafton, Cedarburg, Mequon and Thiensville. 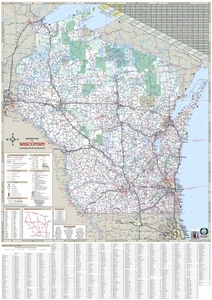 Wisconsin State Highway Map. Printed on waterproof & tear resistant paper. Folds open to size: 27" x 38"